This afternoon the Mariners announced that Jackson right-hander Taijuan Walker has been promoted to Triple-A Tacoma. 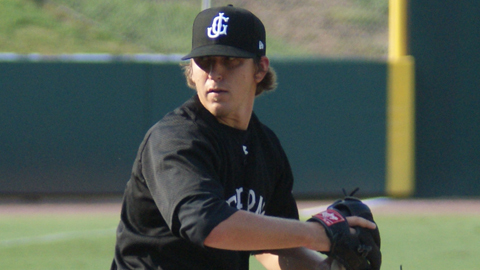 The promotion was announced a day after his career-high 12 strikeout performance against Mobile. After receiving the news this afternoon Taijuan Walker took time to talk about his promotion and his time in Jackson. Walker ranks 6th in franchise history with 39 career starts. Taijuan Walker struck out a season-high 12 batters last night. GENERALS RECAP: Behind a career high 12 strikeouts from Taijuan Walker, the Generals defeated the Mobile on Thursday in Jackson, 5-2. In total, Walker, Kyle Hunter and Tyler Burgoon combined to strike out a season-high 16 BayBears in total on the night. Walker (W, 4-7, 6.2,6,2,1,0,12,0) led the staff and picked up the win. Hunter (H, 1, 0.2,1,0,0,0,1,0) relieved Walker and earned his first hold. Burgoon (S, 3, 1.2,0,0,0,0,3,0) finished the game on the mound and picked up the save. Julio Morban (2-4, 2 R, RBI) and James Jones (2-3, 2 RBI) combined to lead Jackson at the plate as the Generals scored 3 runs in the first then single runs in the 5th and 6th frames. YOU ALREADY KNOW… that Taijuan Walker struck out a career-high 12 batters last night in his 39th career Jackson start, but DID YOU KNOW?…that ranks 7th on the all-time starts list in Jackson franchise history. Current Detroit Tigers starting pitcher Doug Fister (07-08) leads the franchise with 47 career starts. Ricky Nolasco (04-05) and Renyel Pinto (04-05) made 46 career starts, Steve Bray 45 (09-10), Justin Thomas 41 (07-08) and Steven Hensley (10-11) 40 are in front of Walker. NEWS & NOTES: 29 of first 68 games have been 1-run games (10-19) which is the most in all of minors…41 of 67 games have been decided by 2-or-fewer runs (13-28) and 6 have been extra-inning games (2-4)…In games decided by 3+ runs the Generals are 17-10. • ALUMNI REPORT: Since making his Major League debut on May 27, Nick Franklin ranks amongst AL rookies in home runs (1st, 3), extra-base hits (1st, 9), doubles (T1st, 6), on-base percentage (2nd, .365), slugging percentage (2nd, .480), average (3rd, .280), runs scored (T3rd, 7) and RBI (T4th, 6). 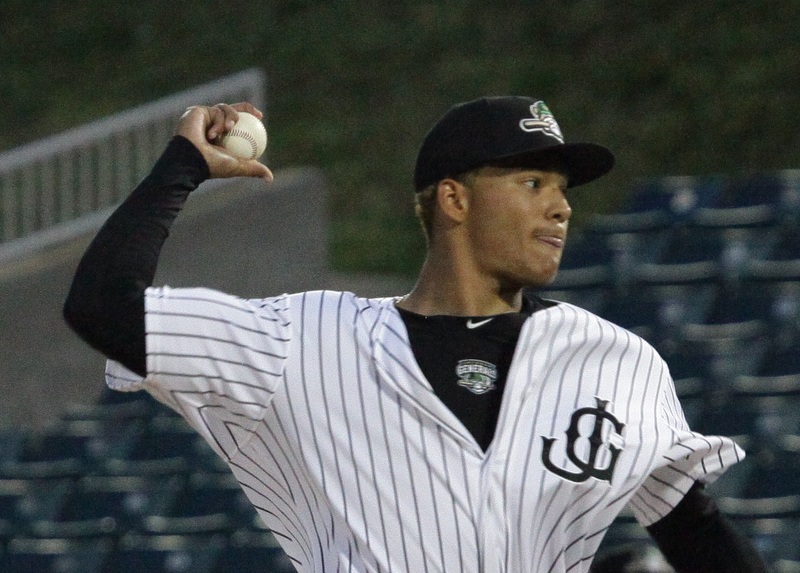 • FRESH PRINCE OF JACKSON: RH Taijuan Walker struck out a career-high 12 on Thursday against Mobile. In his last 5 starts, has struck out 39 and walked 5 in 32 2/3 innings, all while allowing opponents to hit just .191 (21-for-110). He’s now made 39 starts for the Generals in 2 seasons complete with rates of 9.1 strikeouts and 3.4 walks per nine innings. • WE GOTCHA! !…Jackson catchers lead the SL catching 50.8% of base stealers (32 CS, 61 Att). The next closest is Mobile which is throwing out 33.8% of base runners. Today’s Generals pregame interview is relief pitcher Stephen Shackleford. He tossed 2 shutout innings last night and lowered his ERA to 2.45. He struck out 2 batters in the outing. The right-hander is from Louisville, KY talks about his jump to AA and even his unusual warmup routine. 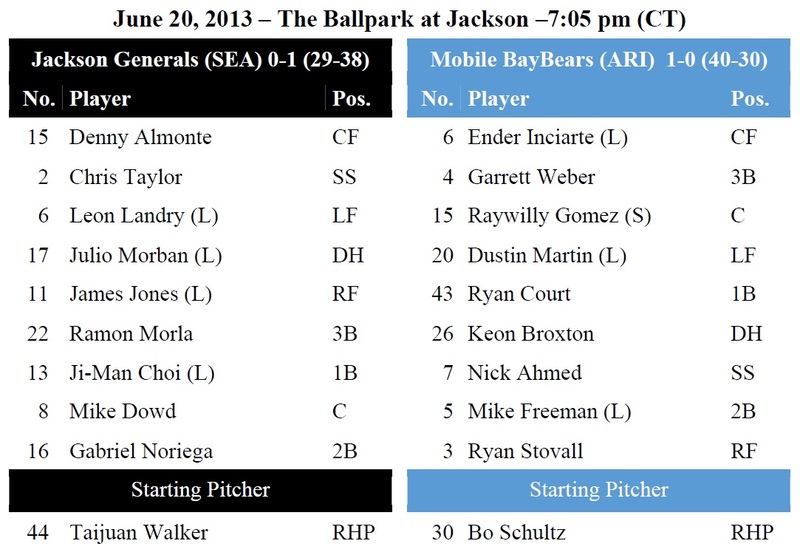 TODAY’S GAME: the Generals play game #2 of a 5-game series with the first half South Division Champion Mobile BayBears…this is the 2nd of 15 meetings during the 2nd half between the clubs…last season the Generals finished the regular season 6-4 against Mobile… 20-year-old righty Taijuan Walker makes his team-leading 14th start of the season in game 2 of the series. This is his 57th career start and 39th for Jackson…was 0-1 with a 5.06 ERA in 2 starts last season vs. Mobile…took no decision at Mobile in Gm 3 of the SLCS tossing 7.1 innings, allowing 1 run on 4 hits while striking out 4 and walking 4. Jackson lost the game eventually 4-2. Walker has received just 2 runs of support in his last 4 starts. GENERALS RECAP: The Generals scored 6 runs in the bottom of the 5th inning, but allowed 4 runs over the final 2 innings as Jackson lost to Mobile 8-6 on Wednesday night. Starter Roenis Elias (5.0,6,4,3,4,4,HR) allowed 4 runs (3 ER) on 6 hits in 5.0 innings, but didn’t figure into the decision. RH Stephen Shackleford (2.0,0,0,0,0,2) struck out 2 in 2.0 scoreless innings. RH Stephen Kohlscheen (0.1,3,3,3,3,1) recorded his 3rd loss of the season, allowing 3 runs on 3 hits and 3 walks in 0.1 innings. LH Nick Hill (0.2,0,0,0,1,0,WP) allowed 1 of 2 inherited runners to scored in the 8th inning, while RH Andrew Kittredge (1.0,2,1,1,1,3) allowed 1 run and struck out 3 in the 9th inning. All 9 position players in the starting lineup recorded at least 1 hit. 1B Ji-Man Choi (2×4, R, HR, RBI) led the General with 2 hits, while 3B Ramon Morla (1×3, R, HR, 3 RBI, BB) led the team with 3 RBI. Morla, who made his Double-A debut, hit a 3-run home run with 2 outs in the 5th inning. Choi followed Morla with a solo home run, his 10th of the season and 3rd since being promoted to Jackson. YOU ALREADY KNOW… that the Generals lost the opener of the 2nd half last night to Mobile, but DID YOU KNOW?…that the Tennessee Smokies were the only team in the North Division that won last night making a 4-way tie for 2nd place in the division. NEWS & NOTES: 29 of first 67 games have been 1-run games (10-19) which is the most in all of minors…41 of 67 games have been decided by 2-or-fewer runs (13-28) and 6 have been extra-inning games (2-4)…In games decided by 3+ runs the Generals are 16-10. • ALUMNI REPORT: Tacoma SS Brad Miller, who had a day off yesterday, currently has a 16-game hitting streak, batting .377 (26×69) with 18 runs scored, 2 doubles, 1 triple, 4 home runs and 22 RBI. Overall Miller has hit safely in 18 of 20 games with Tacoma, batting .341 (28×82) with 21 runs scored, 2 doubles, 1 triple, 4 home runs and 23 RBI. • FRESH PRINCE OF BEL…JACKSON: RH Taijuan Walker is 0-3 in his last 4 starts, despite allowing only 6 runs in 25.1 innings (2.13 ERA). During this stretch he limited opponents to a .153 average (13×85), while walking 5 and striking out 27. 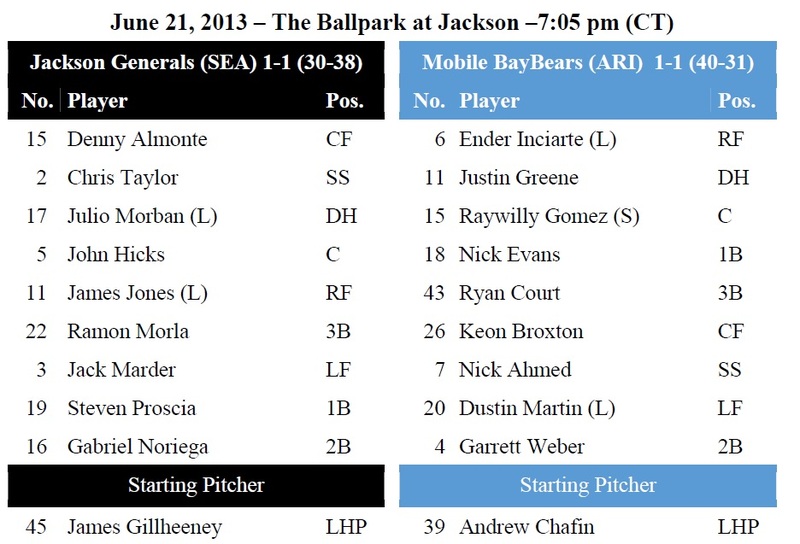 TODAY’S GAME: the Generals open a homestand tonight with game #1 of a 5-game series with the first half South Division Champion Mobile BayBears…this is the 1st of 15 meetings during the 2nd half between the clubs…last season the Generals finished the regular season 6-4 against Mobile… 24-year-old Roenis Elias makes his 13th start for the Generals in the opener of the series vs. Mobile. This is his 47th overall start in his pro career. This is Elias’ first career start against the BayBears…off to a 1-1 start to the month of June with a 1.46 ERA. GENERALS RECAP: The Generals were limited to only 3 hits in 0-1 loss to Birmingham in a rained-shortened game on Monday afternoon. Rain hit downtown Birmingham in the top of the sixth inning as Jackson had Denny Almonte at first after a walk, and nobody out. After a 47 minute rain delay the game was called due to the rain that had fallen and more on the way.1B Ji-Man Choi (2×2, 2B) recorded 2 hits, while 2B Patrick Brady picked up the Generals only other hit in the game. Starter Anthony Fernandez (5.0,7,1,1,2,3) recorded his 3rd loss of the season, allowing 1 run on on 7 hits in 5.0 innings. YOU ALREADY KNOW… that the Generals today added California League All-Star Chris Taylor to the roster, but DID YOU KNOW?…that Taylor, a 5th round draft choice by the Mariners in 2012 is just the 2nd member of the ‘12 draft class to reach AA. 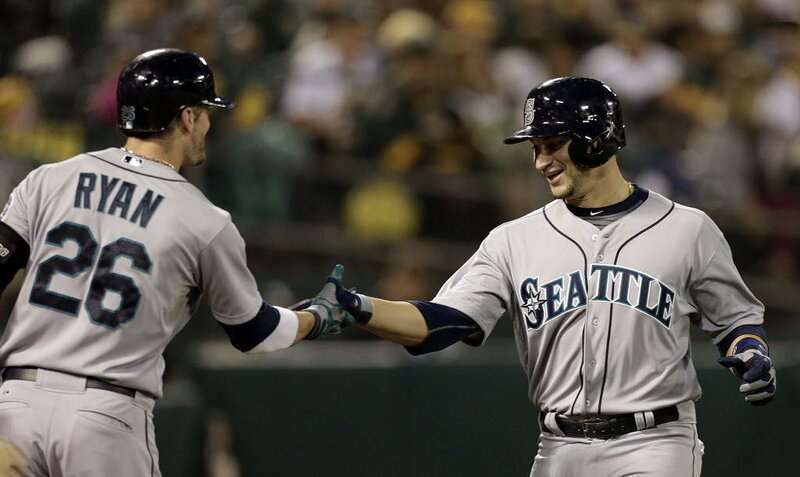 The other was Mike Zunino who finished last season in Jackson and is now a member of the Mariners active roster. NEWS & NOTES: 29 of first 66 games have been 1-run games (10-19) which is the most in all of minors…40 of 66 games have been decided by 2-or-fewer runs (13-27) and 6 have been extra-inning games (2-4)…In games decided by 3+ runs the Generals are 16-10. • TODAY’S TRANSACTIONS: INF Chris Taylor and INF Ramon Morla added from A+ High Desert. INF Leury Bonilla promoted to AAA Tacoma and RHP Moises Hernandez placed on 7-day DL. • FACING THE CHAMPS: The Generals are currently in a stretch of playing 10 straight games against the North and South Division 1st half Champions. Birmingham took 3 of 5 from the Generals to close out the 1st half and Jackson now faces Mobile during the opening series of the 2nd half. Mobile has won back-to-back Southern League Championships including the best-of-five Chapmpionship series last year over the Generals in 4 games. • THE THREE CAVALIERS: With the addition of Chris Taylor to start the 2nd half, the Generals current roster features 3 former Virgnia Cavliers. 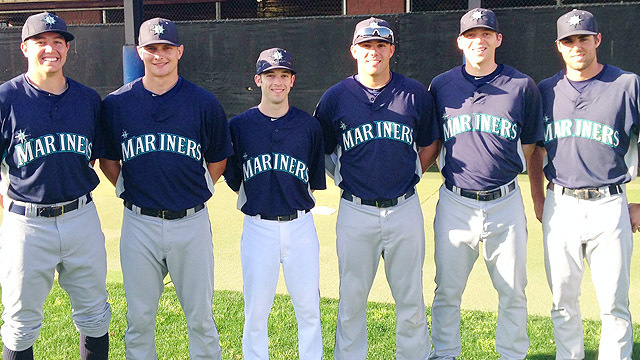 AAA Tacoma’s roster features 2 former UVA alums in pitcher’s Andrew Carraway and Danny Hultzen. Both were 2012 Generals. • SOLDIER ON THE HILL: LH Nick Hill has allowed only 4 runs in his last 28.0 innings (1.29 ERA). Overall this season he has limited opponents to a .212 (22×104) average, while walking 13 and striking out 21. • WE GOTCHA! !…Jackson catchers lead the SL catching 52.5% of base stealers (32 CS, 61 Att). The next closest is Mobile which is throwing out 34.7% of base runners. 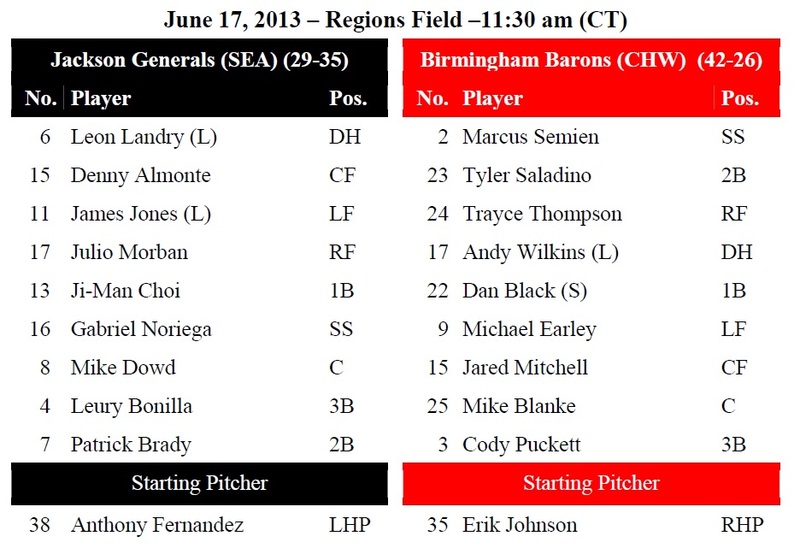 TODAY’S GAME: this morning the Generals play the rubber match of the 5-game road series against the SL North 1st half Champion Birmingham Barons (2-2)…the Barons’ 43 wins is the most in the league…Jackson leads the season series 5-4 and will meet Birmingham 15 times in 2013… 22-year-old Anthony Fernandez makes his 9th start…made only start in career vs. Birmingham on 8/2/12 at Hoover and took a no decision in 6.0 innings of work, striking out 2 and walking 1, allowing just 1 run on 2 hits. GENERALS RECAP: The Generals surrendered five runs in the bottom of the ninth Sunday and fell to the Birmingham Barons at Regions Field, 9-8. 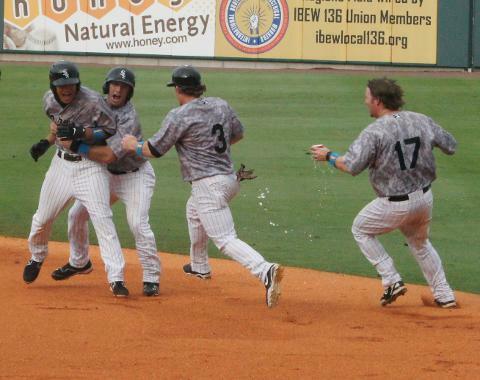 Tyler Saladino singled home pinch runner Jared Mitchell for the walk-off Barons victory. Birmingham went into the ninth trailing 8-4 and with the one-run loss Jackson fell to 10-18 in those contests this season. The Generals also dropped to 23-4 when leading after eight innings. Patrick Brady (2-3, HR, 2 RBI, 2 R) and Denny Almonte (1-4, HR, 2 RBI) homered in the game while Gabriel Noriega (3-4, RBI, R) collected his 2nd 3-hit game of the season. Carson Smith (BS, 4, L, 0-3, 0.0,3,2,2,0,0,0) suffered the loss while starter Chance Ruffin (4.2,6,4,4,3,3,1) did not factor into the decision. YOU ALREADY KNOW… that the Generals blew a 4-run lead in the 9th inning yesterday, but DID YOU KNOW?…that with a win yesterday the Generals would have clinched a series win for the first time in game #4 of the series. Nine of Jackson’s 14 series’ this season have gone to the rubber match (4-4). NEWS & NOTES: 28 of first 65 games have been 1-run games (10-18) which is the most in all of minors…39 of 65 games have been decided by 2-or-fewer runs (13-26) and 6 have been extra-inning games (2-4)…In games decided by 3+ runs the Generals are 16-10. • RUNNIN WILD: The Generals and Barons are the top 2 teams in league in stolen bases. Birmingham has 90 steals while the Generals are charging in 2nd place with 82 swiped bags. • FIRST LOOK AT REGIONS FIELD: In April, the Barons played their 1st game in their new ballpark, Regions Field. The state-of-the-art 8,500 seat $64 million facility in the heart of downtown replaced Hoover Metropolitan Stadium, the home of the Barons since 1988. The crown jewel of Birmingham’s newly developed Parkside District, features a variety of unique seating areas, creating an intimate atmosphere and offering unique views of the downtown skyline, UAB, Children’s Hospital, Vulcan and Red Mountain. • WE GOTCHA! !…Jackson catchers lead the SL catching 53.4% of base stealers (31 CS, 55 Att). The next closest is Mobile which is throwing out 34.7% of base runners. On Sunday’s pregame show I sat down with last night’s starter James Gillheeney. He tossed 5 shutout innings last night and earned his 3rd win of the season. We talk about his adjustments so far during the season. Also, talk about his alma mater NC State playing in Omaha and his run in today with Mountain Man from Duck Dynasty. Listen to the full interview below. 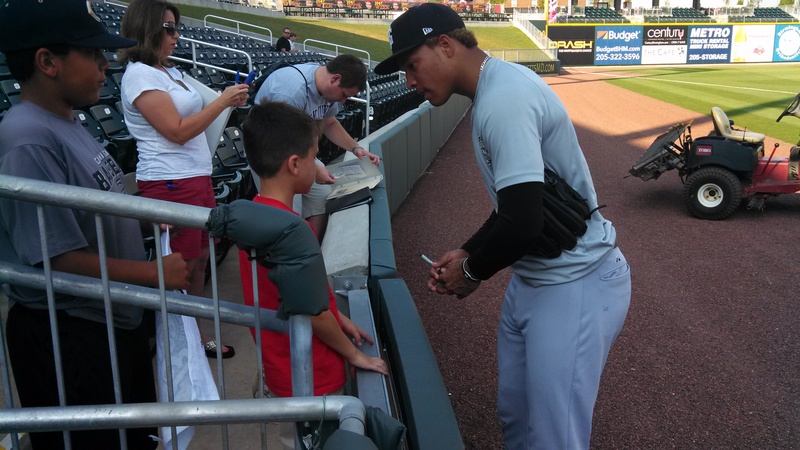 Taijuan Walker signs autographs for fans in Birmingham. TODAY’S GAME: this afternoon the Generals play game #4 of a 5-game road series against the SL North 1st half Champion Birmingham Barons (2-1)…the Barons’ 42 wins is the most in the league…Jackson leads the season series 5-3 and will meet Birmingham 15 times in 2013… 24-year-old Chance Ruffin makes his 12th career start and 12th of the season today…Ruffin ranks 4th in the league with a 1.05 WHIP. GENERALS RECAP: LH James Gillheeney combined with 3 relievers on a 7-hit shutout as Jackson defeated Birmingham 3-0 on Saturday night. It was the team’s 4th shutout of the season and first since April 15th at Mississippi. Gillheeney (5.0,2,0,0,2,5) earned his 3rd win with Jackson and the 5th overall this season, allowing only 2 hits and striking out 5 in 5.0 scoreless innings. Relievers Andrew Kittredge (1.0,3,0,0,0,2), Stephen Kohlscheen (2.0,1,0,0,0,3) and Carson Smith (1.0,1,0,0,0,2) combined to strikeout 7 batters in 4.0 scoreless innings. Smith earned his 7th save of the season with a scoreless 9th inning. LF Leon Landry (3×4, R, 2B, BB) led the team with 3 hits, while 1B Ji-Man Choi (1×4, RBI), C Michael Dowd (1×3, R, BB) and 2B Jack Marder (1×4) each recorded 1 of the team’s 6 hits. YOU ALREADY KNOW… that the Generals posted a 7-hit shutout last night and James Gillheeney earned his 3rd win, but DID YOU KNOW?…that the Generals’ last shutout was on April 15 at Mississippi and Gillheeney’s last Jackson win was April 14 at home vs. Montgomery. NEWS & NOTES: 27 of first 64 games have been 1-run games (10-17) which is the most in all of minors…38 of 64 games have been decided by 2-or-fewer runs (13-25) and 6 have been extra-inning games (2-4)…In games decided by 3+ runs the Generals are 16-10. • RUNNIN WILD: The Generals and Barons are the top 2 teams in league in stolen bases. 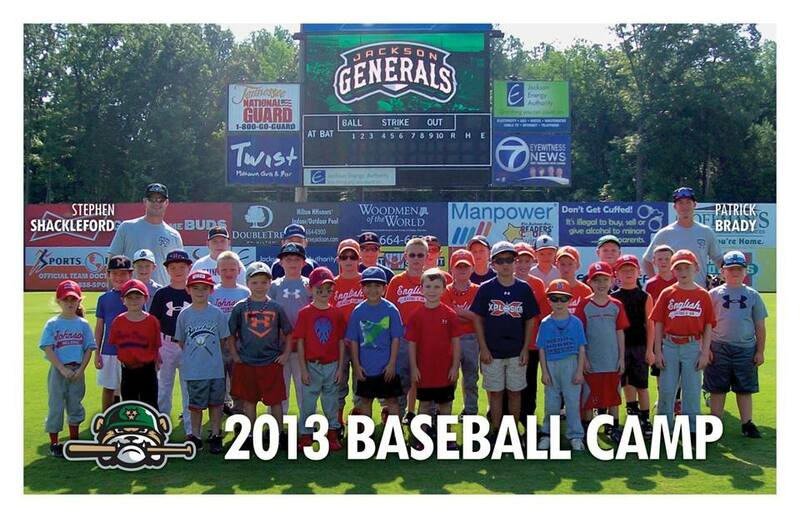 Birmingham has 89 steals while the Generals are charging in 2nd place with 82 swiped bags. • FINALLY ON TOP: Generals OF Julio Morban leads the league with a .316 batting average. He missed 2 weeks in April due to a groin injury and just reached the plate appearances to qualify for league leaders. • WE GOTCHA! !…Jackson catchers lead the SL catching 54.4% of base stealers (31 CS, 55 Att). The next closest is Mobile which is throwing out 34.7% of base runners. Generals outfielder Leon Landry talks about Taijuan Walker’s start last night in Birmingham, making adjustments in AA and playing against his former LSU teammate Jared Mitchell of the Barons. Listen to the full interview below. TODAY’S GAME: the Generals play the middle game of a 5-game road series against the SL North 1st half Champion Birmingham Barons with game #3 of the series (1-1)…the Barons’ 42 wins is the most in the league…Jackson leads the season series 4-3 and will meet Birmingham 15 times in 2013… 25-year-old lefty James Gillheeney starts for Jackson…this is his 11th start of the season and 6th for Jackson…this is his 2nd career start against the Barons…last on 8/7/11 at Hoover…took no decision in 6 innings allowing 2 runs on 4 hits striking out 3 and walking 3. GENERALS RECAP: The Generals allowed 3 runs in the bottom of the 7th inning to break a 0-0 tie as Jackson lost to Birmingham 4-1 on Friday night. CF Denny Almonte (1×4, RBI) recorded an RBI single in the top of the 8th inning to get Jackson on the board. SS Gabriel Noriega (1×2, BB) recorded the Generals only other hit in the game. Starter Taijuan Walker (6.0,3,2,2,1,7) recorded his 7th loss of the season, allowing 2 runs on 3 hits in 6.0 innings. He tossed 6.0 shutout innings before being charged with 2 runs in bottom of the 7th without recording an out. LH Nick Hill (1.0,3,1,1,0,1) and RH Stephen Shackleford (0.2,1,1,1,2,0) each allowed a run in relief, while RH Kyle Hunter (0.0,0,0,0,0,0) retired the only batter faced, stranding 2 runners in the bottom of the 8th inning. YOU ALREADY KNOW… that the Generals have a 4-3 record this season against the first half North Champion Birmingham Barons, but DID YOU KNOW?…that the Generals are one of only 2 teams with a winning record vs. the Barons this season. The other is Montgomery (8-7). NEWS & NOTES: 27 of first 63 games have been 1-run games (10-17) which is the most in all of minors…38 of 63 games have been decided by 2-or-fewer runs (13-25) and 6 have been extra-inning games (2-4)…In games decided by 3+ runs the Generals are 15-10. • BROOKLYN’S FINEST: OF James Jones has hit safely in 8 of his last 10 games, batting .306 (11×36) with 5 runs scored, 2 doubles, 1 triple, 1 home run and 8 RBI. • WE GOTCHA! !…Jackson catchers lead the SL catching 56.4% of base stealers (31 CS, 55 Att). The next closest is Mobile which is throwing out 34.7% of base runners.